You are here: Home / Great Deals / AERO/Aeropostale 30% Off EVERYTHING! 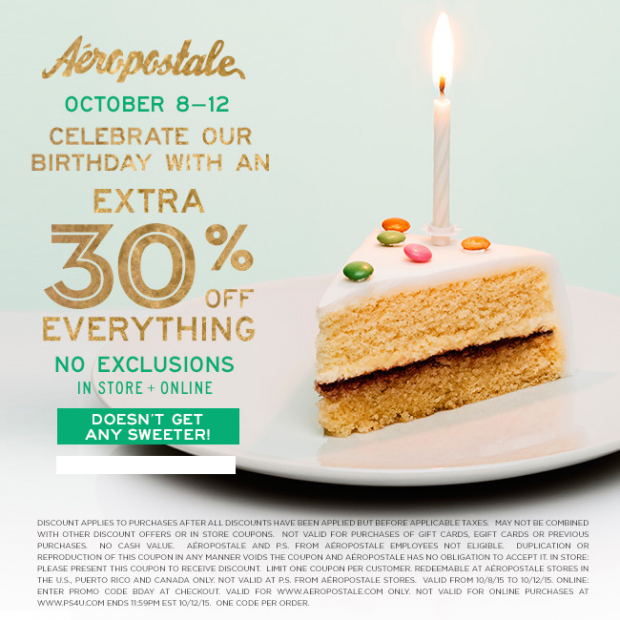 Right now at AERO (Aeropostale‘s new name) you can get 30% off EVERYTHING! Online use promo code BDAY.